Extremely cost-effective, with cutting-edge technology, the ultra-flexible OBi504vs systems can be configured to be used for a multitude of voice and fax applications. 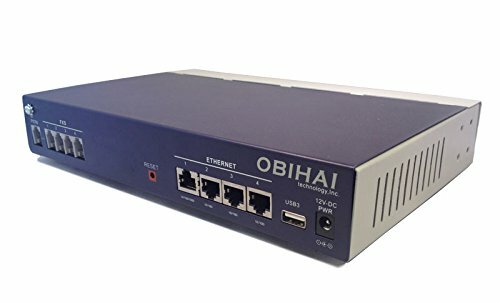 Businesses using premise-based open-standard platforms such as Asterisk, FreePBX, PBX In a Flash, or other SIP-based system will be able to leverage the OBi504vs' versatitility. T38fax.com has officially certified these devices after completing rigorous testing, designed to push these devices to the limit, and we're happy to say that the OBi504vs has passed our requirements to make it to our Certified Device List. We've included a simple configuration guide on this page to help you get up and running. If you have any trouble, please open up a support ticket and one of our engineers will assist you as soon as possible!